మహీంద్రా ఆఫర్లు 18 కారు నమూనాలు భారతదేశం కోసం అమ్మకానికి తో సహ 11 SUVs, 1 Minivans, 2 Hatchbacks, 2 Sedans and 2 MUVs. చౌకైన ఇది కెయువి100 NXT ప్రారంభ ధరను కలిగి ఉంది Rs. 4.82 లక్ష మరియు అత్యంత ఖరీదైన మహీంద్రా కారు ఆల్టూరాస్ జి4 వద్ద ధర Rs. 27.7 లక్ష. The మహీంద్రా ఎక్స్యూవి300 (Rs 7.9 లక్ష), మహీంద్రా స్కార్పియో (Rs 10.0 లక్ష), మహీంద్రా బోరోరో (Rs 7.74 లక్ష) ఇవి అత్యంత ప్రముఖమైన కార్లు మహీంద్రా. రాబోయే మహీంద్రా లో ఈ కార్లు ప్రవేశపెట్టబడతాయని భావిస్తున్నారు 2019/2020 సహ TUV300 2019, eKUV100,XUV Aero,థార్ 2020,ఎక్స్యూవి500 2020,ఎక్స్యూవి300 ఎలక్ట్రిక్. Mahindra cars are part of the Mahindra Group which is present in a variety of industries across the world while being headquartered in India. 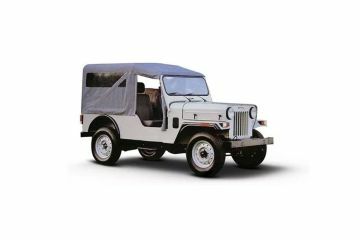 Mahindra was set up in the 1940s and used to manufacture the Willys Jeep in India. The vehicle manufacturing focus since then has been on commercial and utility vehicles, which partly explains how Mahindra is the world's largest tractor company by volume. 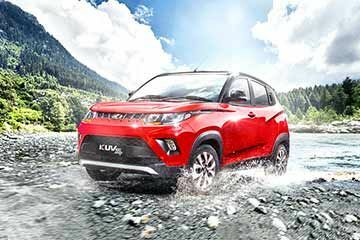 Mahindra is also currently one of the biggest sellers of passenger utility vehicles in India with its extensive range of SUVs, MUVs and CUVs. Mahindra also has a motorsport division that currently participates in the Formula-E electric racing series while a different arm of the group is working on an electric hypercar as well. In order to cover a vast part of the market, Mahindra has set up a dealer network of over 530 dealers across the country for the sales and service of its passenger vehicles. 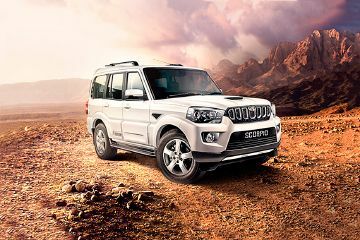 Mahindra cars are sold all across the globe, often in partnership or collaboration with other brands of manufacturers. In India too, Mahindra used to sell the Logan sedan in India which was in partnership with Renault. It also acquired the REVA brand for the small electric car on which the current e2o is based. More recently, Mahindra acquired the Ssangyong brand for more premium SUVs like the new Alturas. 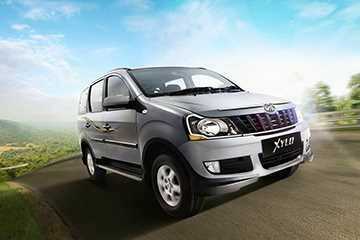 Mahindra is also the first mass car OEM in India to offer a leasing plan for it's more expensive models. మీ కుటుంబ సభ్యులకు మరియు స్నేహితులకు రోడ్ ట్రిప్ కి వెళితే ఏది సౌకర్యవంతంగా ఉంటుందో తెలుసుకుందామా?? రెండవ-తరం మోడల్ పురాతన ఆకు ఆకారం వెనుక సస్పెన్షన్ వ్యవస్థను మరింత ఆధునిక బహుళ-లింక్ కాయిల్ స్ప్రింగ్స్ సెటప్ తో ఆధునీకరించారు . 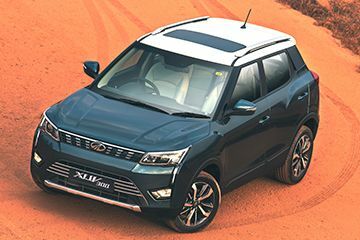 Mahindra XUV300 is a very exciting car and better exterior &amp; interior views. Mahindra the indigenous innovation . Best pickup, best power system. Best car for family purpose. Q. How much time it takes to reach 0 - 100 km/hr? 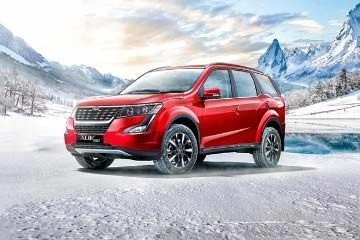 Mahindra XUV500 takes 12.98 s to reach 0 to 100kmph. Q. Does SUV have more engine life and less maintenance then sedan? Life of the engine and maintenance of any vehicle will depend on certain factors such as road conditions, climate, KMs driven, time to time services have been done or not, etc. Both the body style(SUV and sedan) are great to have but it depends on your requirements that which one will be suitable for you. Q. Mahindra Scorpio S3 price 2019 model in Chhattisgarh Kawardha?